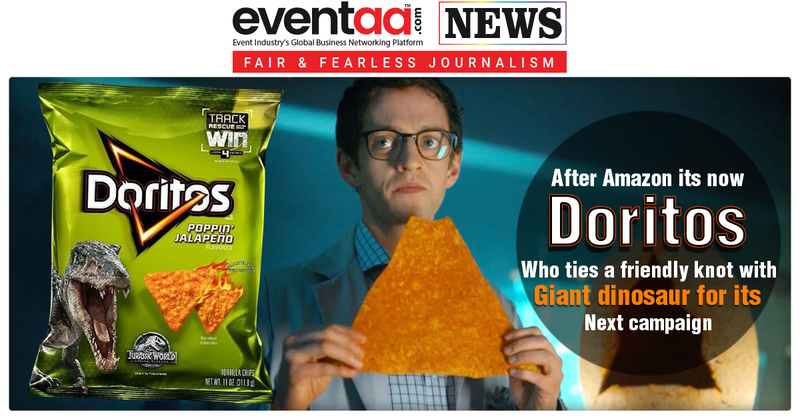 After Amazon, its now “Doritos” to incorporate its product promotion. Frito-Lay's Doritos partnered with Universal Pictures to create a chip of "Dinosauric proportions" in the promotion of "Jurassic World: Fallen Kingdom. In their marketing campaign, fans can win one of the foot-long Jurassic Doritos chips by tweeting @Doritos with the hashtags #JurrassicDoritos and #entry. The one-foot chip, available in Nacho Cheese flavour, will "hatch" from a dinosaur egg that's shipped in "Jurassic World" replica crates. Beside this, launching their interactive websites consumers can enter online codes found on classic bags of Doritos to explore Isla Nublar, the film's fictional island setting, and rescue dinosaurs. Participants can also win prizes, including a trip to the real island of Costa Rica.